My current project Analogue explores the processes of artists who are continuing to work "old school" in the digital age. It has been an amazing experience - the list of artist is a who's who of analogue processes - Pete Swanson (Dagmar Guitars), Mike Robinson (Canada's premier daguerreotypist), Phil Hoffman (of Film Farm fame), Jill Graham (Master Printer and technical director of Open Studio), and of course, punk rock record producer "STEVE ALBINI!" Living as Brothers is making its way into festivals and guerrilla screenings this summer. Stay tuned for more details. 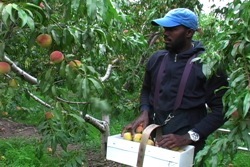 Check out the page for more info about my first feature which tells the story of the Jamaican men who pick fruit each summer in the orchards of Niagara-on-the-Lake. I was lucky enough to be the documentary producer on a joint UOIT/Durham College course that took place in Sao Paulo Brazil. 20 students, 10 days, 2 super dedicated professors, 1 amazing cameraperson, lots of amazing (and sometimes heartbreaking) experiences! Here is the trailer we edited together - all visuals courtesy of the very talented Jarrett Murray. Living as Brothers gets a spot at the Africa World Documentary Film Festival. More details to come! Living as Brothers gets a screening at COMMFEST! 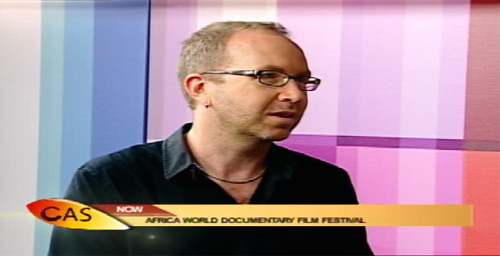 It also won a MADA Award, an award given to films recognized for contributing to social change and awareness. Nice to be able to call myself an award-winning filmmaker! Analogue gets a Golden Sheaf nomination at the Yorkton Film Festival! Obviously I am thrilled - the competition is fierce but I'm proud that my self-produced doc gets recognized at such a prestigious competition! Living as Brothers also got its international premiere in Dublin. Started my new gig teaching documentary production at Durham College as part of their MAD Department. I love sharing my experience making films and even working on the corporate side of things. They gave me a nice Canon 60D to play with for the term so I'm now learning how to be a DSLR filmmaker. Durham College is great - what a great group of students and faculty. Also on tap - learning Premiere (the school uses Creative Suite) and Final Cut X (my own mission). 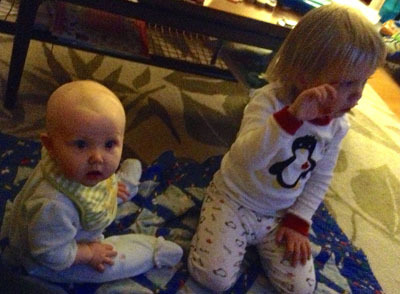 Oh and the kids are now 6 months and 3.5 years respectively. 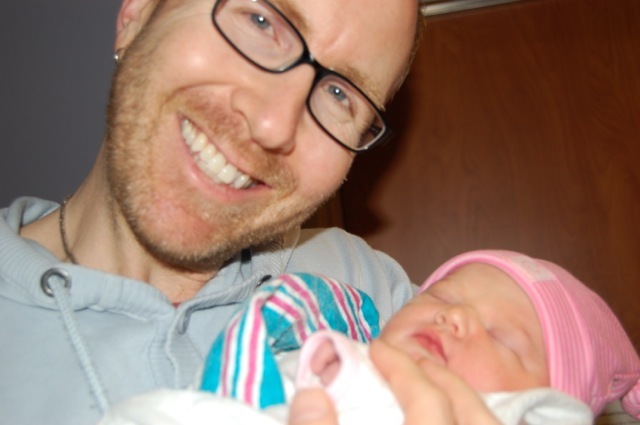 My second daughter - Sadie Patricia has entered the world this week! I am soooo thrilled. She is perfect, chubby and gorgeous. It will certainly make turning 40 next week a little brighter!!! On other news, my documentary Living As Brothers now has screening dates in Toronto on Saturday December 1st at Innis Town Hall, 2:30pm and Whitehorse on Friday November 23, 7 pm, at the MacBride Museum. I hope there will be other dates and times announced soon. Please check out labourfilms.ca for the latest info. However tired I am from this new daughter of mine, I WILL be there! 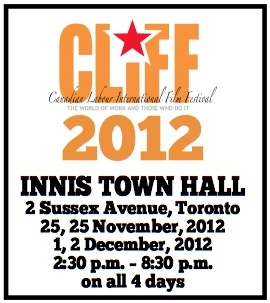 My film Living As Brothers has been accepted into CLIFF, the Canadian Labour Film Festival (labourfilms.ca). I'm very excited - screenings will take place across Canada this fall. Great news! Two screenings of Analogue at Seneca College, where I'm teaching Art History and Visual Culture this summer. My coworkers really enjoyed it and I'd like to continue trying to get screenings at other Seneca Campuses this fall. The idea of what we're losing in the digital age really hits home for a lot of people so I really hope to share it with as many people as possible. Screening at the TIFF Lightbox of my film Analogue was a huge success! It's terrifying to be in a huge theatre, being the only person who has seen the finished film and not sure how people will react. Thankfully it was very well-received (Albini, no surprise was the favourite) and thanks to my fellow filmmakers also screening that night for an amazing evening. I have little memory of what was said at the post-screening Q&A and but apparently I sounded smart-esque. 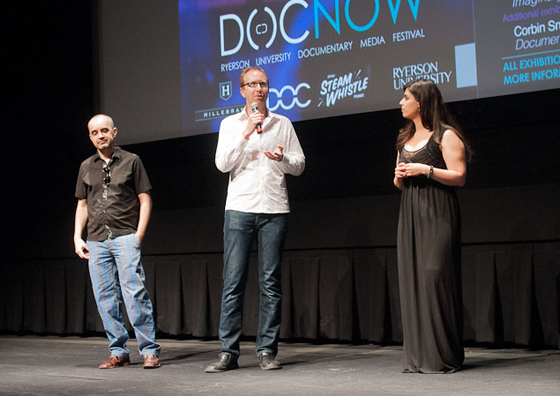 I have just finished editing the trailer for the 2012 Doc Now Documentary Festival, to be held at the Bell Lightbox and several galleries at 80 Spadina: Check it out! Finished the rough cut of Analogue and I am so happy with how it is turning out. Check out the Analogue page for some previews and other pics. 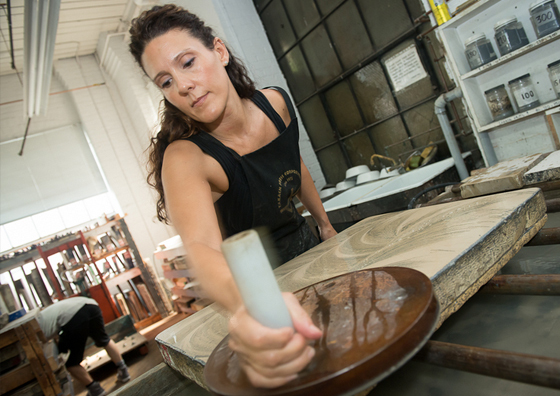 New site is up and running! I hope you like it. Still some rough patches to update, but more to come soon. I hope to have all my current and older films up on their own pages, with more pics and text.